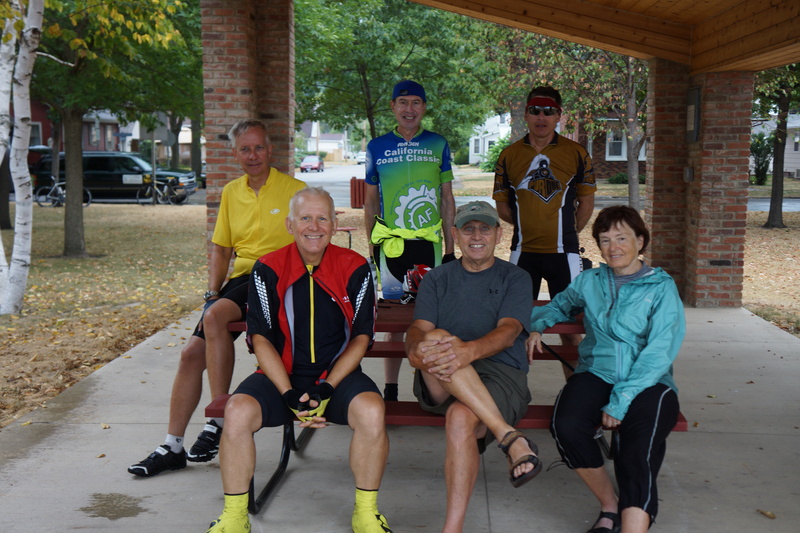 Group Photo at our first SAG rest stop in Guttenberg, IA. Left to right – Jim, Steve, Robert, Dale, Doug, Diane. Due to bad weather (it was raining when we started biking) and bad roads, we designed our own route today with the advice of Jim, who knows the area well (he lives about 50 miles from Dyersville). 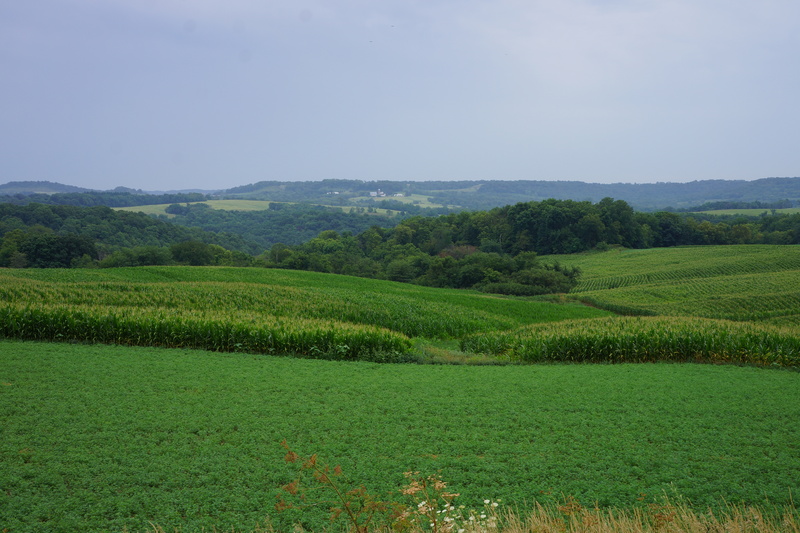 While shorter than the original route, our alternate route required three steep climbs (7% to 11% grades and 2,500 feet total elevation gain) up and down the Mississippi River bluffs in Iowa. I started biking in my rain attire, but soon decided that the rain was a benefit when climbing in the heat, so I removed it. When I arrived in Dyersville, it was laundry time followed by complete cleaning and maintenance of my bike. 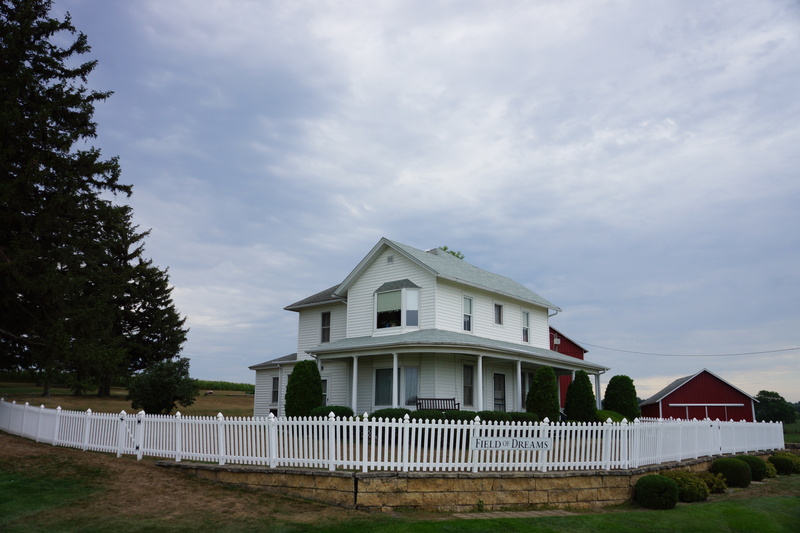 After visiting the “Field of Dreams” filming location (see photos) and the National Farm Toy Museum (see photos) spent the afternoon of the rest day in Dyersville catching up on two days of blogs. 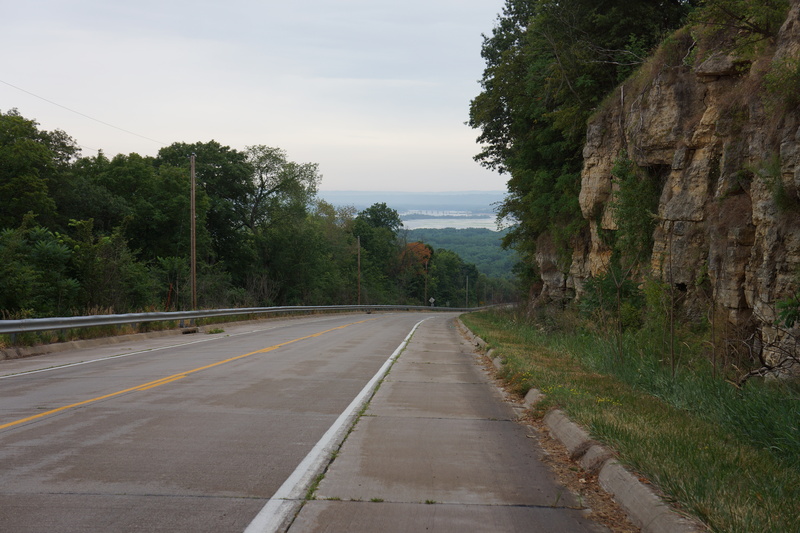 Mile 23: View of the Mississippi while descending the bluff above Guttenberg, IA. 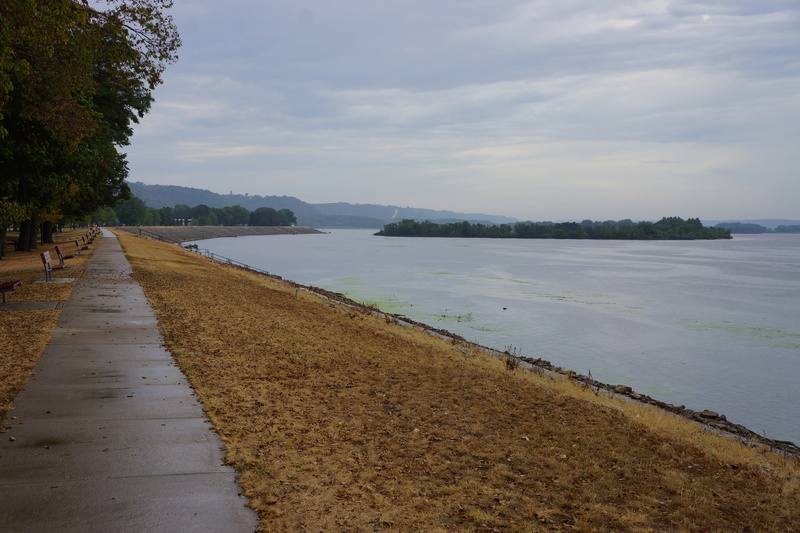 Mile 28: Mississippi waterfront park in Guttenberg, IA (note brown ground cover everywhere). Mile 38: Typical view traveling along a Mississippi River bluff. 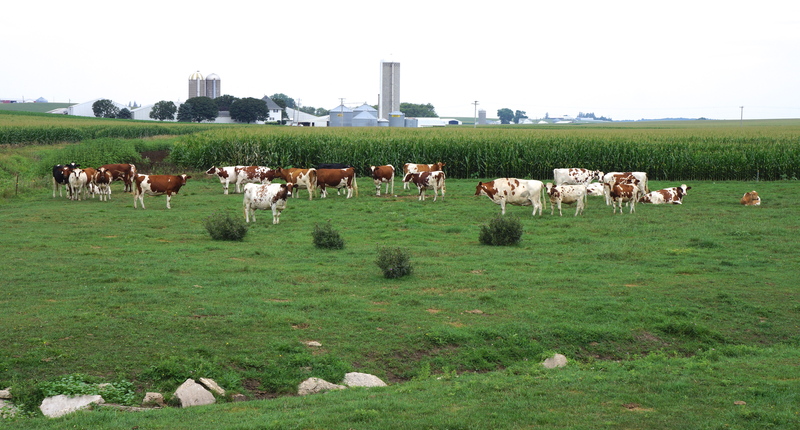 Mile 39: I thought this was interesting as it was the only group of brown colored cows I have seen on the tour. 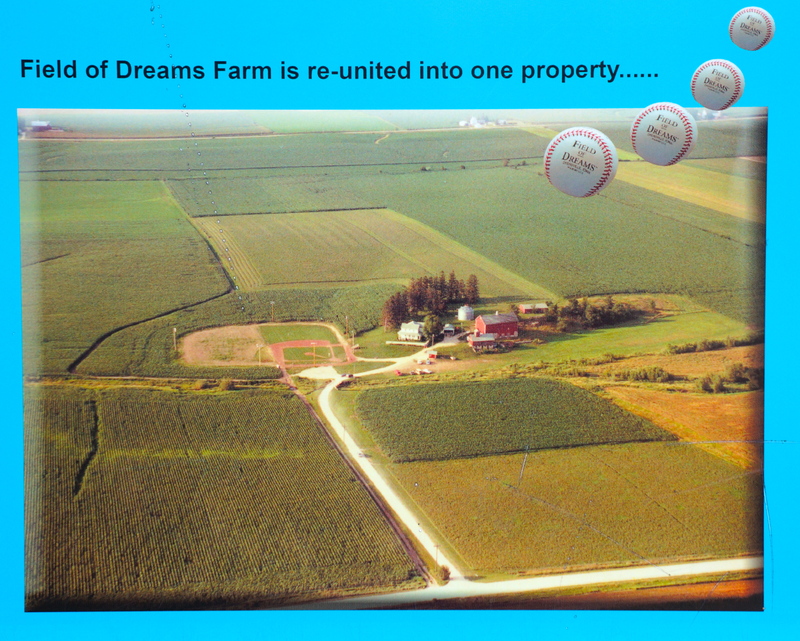 “Field of Dreams” – This farm 4 miles outside Dyersville, Iowa, was the filming location for “Field of Dreams”. While the original owners still live at and farm it, the site is also a free tourist attraction funded by the sale of souvenirs at a small gift shop (red building near parking lot). 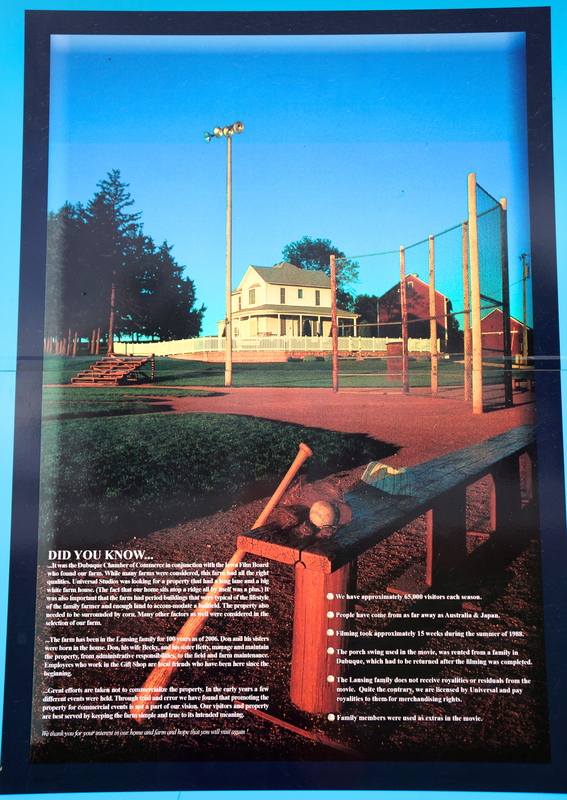 “Field of Dreams” – Close up photo of the home pictured in the film “Field of Dreams”. The original owners still live here. 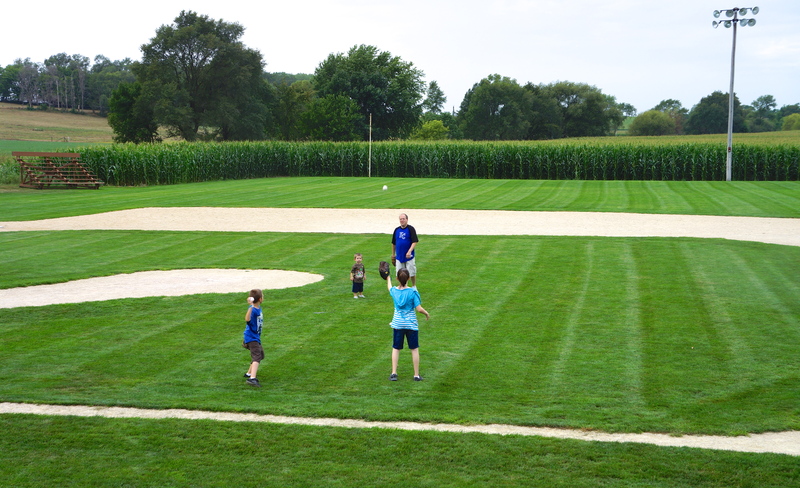 “Field of Dreams” – I thought that it was touching to see several parents who brought their children to the “Field of Dreams” to throw/hit a baseball. The site was perfectly maintained. 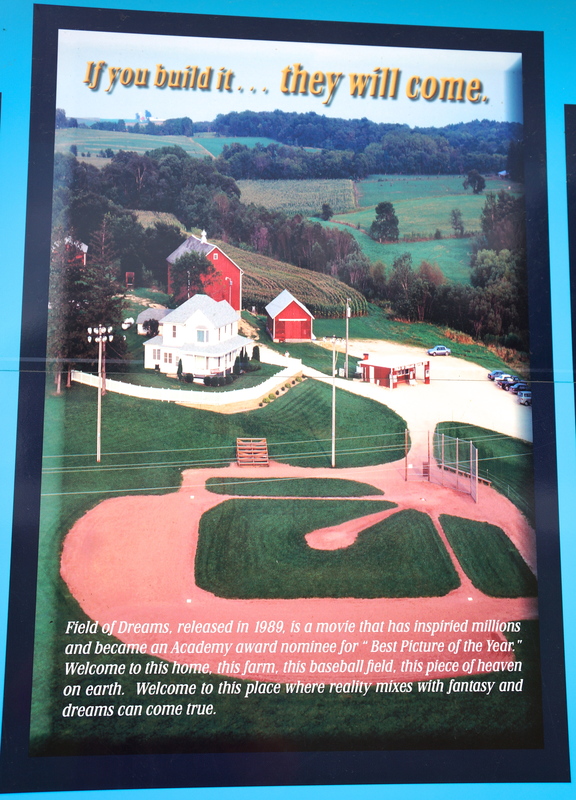 The National Farm Toy Museum – In addition to the “Field of Dreams” film location, the National Farm Toy Museum was a Dyersville, IA attraction. This museum was one of the most attractive and informational specialized museum I have ever visited. It was spotless, all exhibits well documented and explained, educational, and easy to navigate. 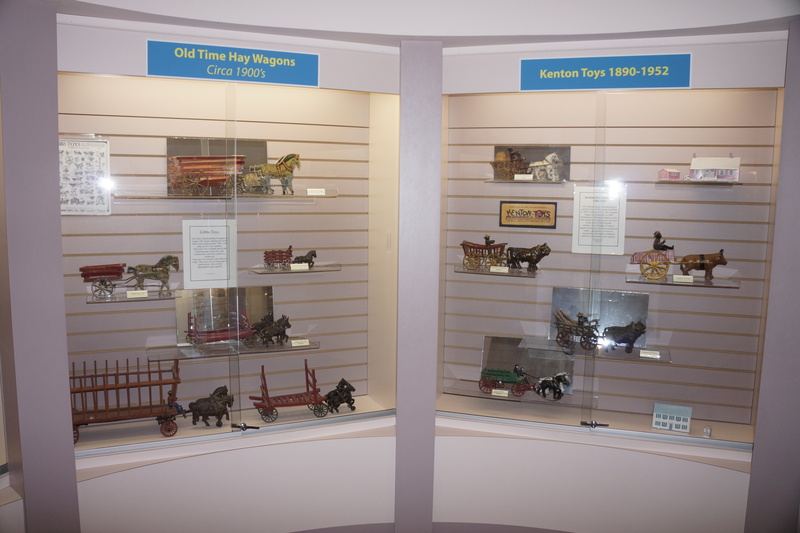 The National Farm Toy Museum – Another view inside the museum. 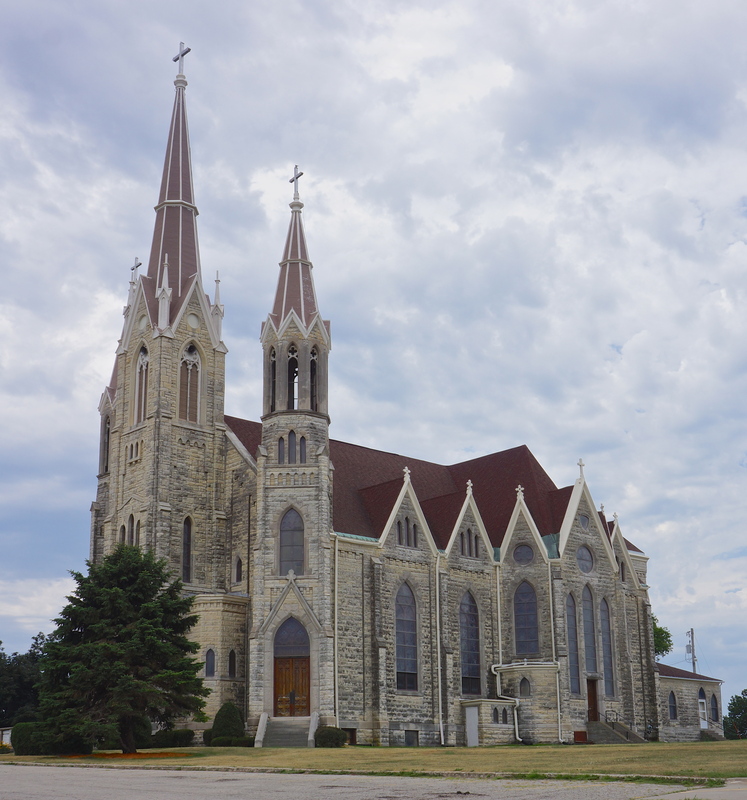 Dyersville, IA is also the home to 5 farm toy stores, 3 farm toy companies, and 2 national farm toy shows. This entry was posted on July 24, 2012 by Steve. It was filed under Photograph of the Day .